On 26 May I had the honor of talking about the current state of the CrowdFunding industry in Germany at HSBA’s V. Finance Conference in Hamburg. Subsequently, I joined a panel to discuss what’s needed for CrowdInvesting in order to establish itself as an asset class (among other interesting things). 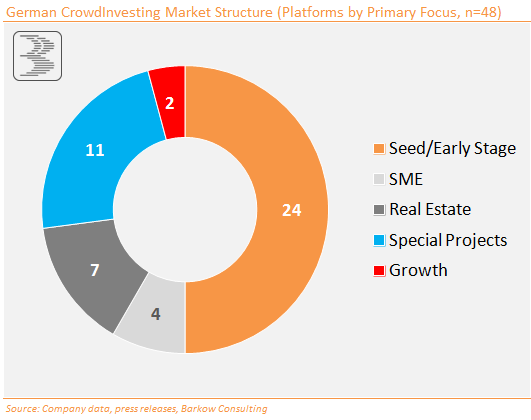 CrowdInvesting needs to prove it can produce adequate risk adjusted returns. To do so, a killer exit is required. Platforms need to live up to their gate keeper function, i.e. do a much harder due diligence. Standardised framework of Investor Communication at AND after fundraising campaign needs to be developed. Platforms need to get better in attracting a crowd. At the moment companies spend too much time and money on related marketing campaigns themselves. Platforms need to improve in transparency especially on defaults, but also on exits (if any). « DAX30-HVs: Viel Lärm und … nichts!